In April 1878, Mark Twain and his family traveled to Europe. Overloaded with creative ideas, Twain had hoped that the sojourn would spark his creativity enough to bring at least one of the books in his head to fruition. Instead, he wrote of his walking tour of Europe, describing his impressions of the Black Forest, the Matterhorn, and other attractions. 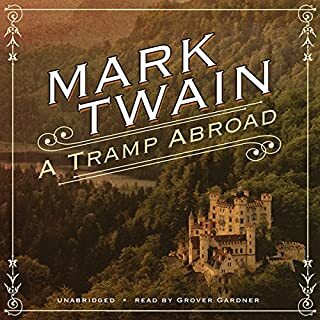 Neglected for years, A Tramp Abroad sparkles with Twain’s shrewd observations and highly opinionated comments on Old World culture. These stories display Twain's place in American letters as a master writer in the authentic native idiom. He was exuberant and irreverent, but underlying the humor was a vigorous desire for social justice and a pervasive equalitarian attitude. In June 1867, Mark Twain set out for Europe and the Holy Land on the paddle steamer Quaker City. His enduring, no-nonsense guide for the first-time traveler also served as an antidote to the insufferably romantic travel books of the period. The Mississippi River, known as “America’s River” and Mark Twain are practically synonymous in American culture. The popularity of Twain’s steamboat and steamboat pilot on the ever-changing Mississippi has endured for over a century. 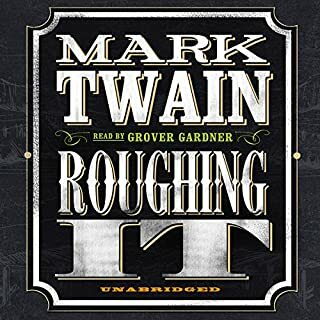 A brilliant amalgam of remembrance and reportage, by turns satiric, celebratory, nostalgic, and melancholy, Life on the Mississippi evokes the great river that Mark Twain knew as a boy and young man and the one he revisited as a mature and successful author. 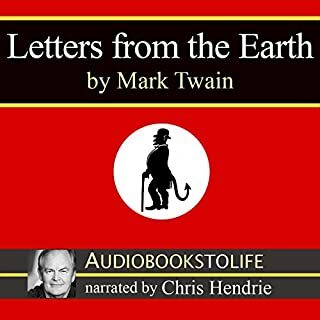 Bound on a lecture trip around the world, Mark Twain turns his keen satiric eye to foreign lands in Following the Equator. This vivid chronicle of a sea voyage on the Pacific Ocean displays Twain's eye for the unusual, his wide-ranging curiosity, and his delight in embellishing the facts. Following the Equator is an evocative and highly unique American portrait of 19-century travel and customs. In June 1867, Mark Twain set sail for Europe and the Holy Land. Twain recorded this adventurous trip and later turned it into The Innocents Abroad. This book became so popular overseas that it would propel him into an international star. 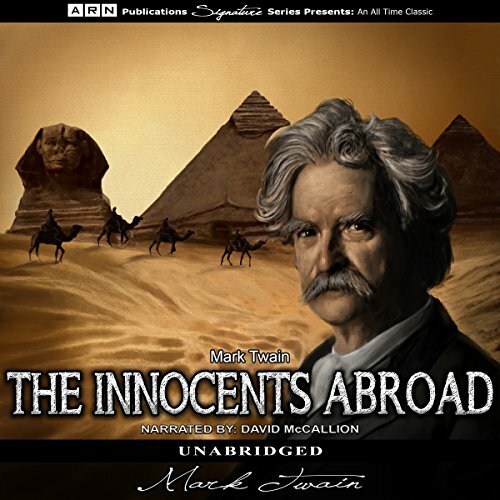 The Innocents Abroad is Twain’s account of his thoughts of the Old World, including Paris, Venice, Pompeii, Jerusalem, Nazareth, and Bethlehem, as well as many other noteworthy cities. 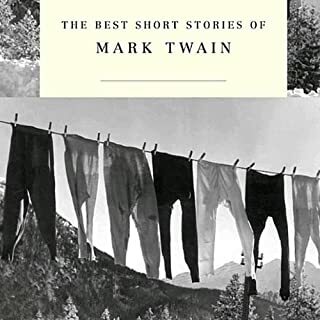 His disbelief and wonder are told with humor that endeared Twain to American audiences. Mark Twain referred to this adventure as his Great Pleasure Excursion. His account of this adventure would eventually become one of the best travel books of the 19th century. Mark Twain is a famous American author whose works still enchant listeners today. The Innocents Abroad is one of many classics this great author left behind. interesting perspective of the Middle East by Twain. Seems he didn't think much of most cultures or the people. It was impressive to hear him describe the actual people, places and things then compare to my own memory of some of these places I traveled to while in the Marine Corps. Mark Twain is an iconic American writer. 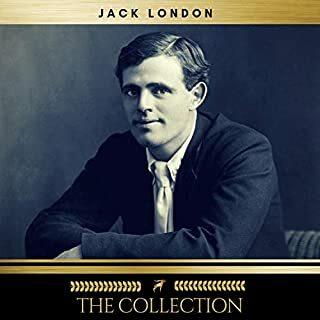 His literary voice is the definition of The Yankee. Why in god's name would you hire an English accent to read this book? The guy mispronounces the names and utterly misses the punchlines. He does't understand the irony or understatement of the writing. He flattens it out like a steamroller. This is a great yarn and the reader completely destroys it. It's just grating. 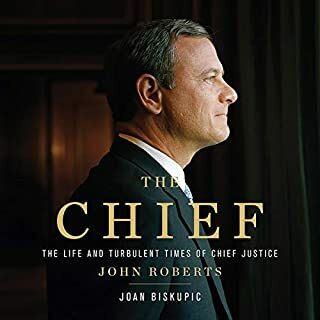 It is a fun, LOL read as a book, or seek out some other audio reader version. Almost anything would be better than this turkey. This was incredibly long! Mark Twain is unapologetically sarcastic and very cutting with some of his observations. I loved those bits. Other times his writing resembles bullet points and or bored rants. Overall I’m glad I persevered to the end. I cannot understand why the publisher would have allowed this to be read in a British accent, versus a late-1800's Southern accent. I don't find this title enjoyable because of this single fact.